In today’s article we shall be talking about just what tips are often recommended to improve our oral health. So whether you are looking for some new information on how to tackle your everyday better to take care of your teeth, or you are just a passerby curious about what it can be done, you are all welcome! Los Algodones dentists recommend these to further take care of your oral health, so be sure to take these tips to heart! This is probably one of the most important tips out there, but surely not the only one you have to focus on. Brushing is a very essential task we partake on every morning and night, and for a reason. Thanks to brushing, we remove all the plaque buildup that has been building up until then. In the morning, we remove what has accumulated as we were asleep. Then, in the night, what has accumulated throughout the day! So what do we recommend? To brush before going to sleep and after waking up, for two minutes in each session. This will ensure that the toothpaste we use has enough time to work on our teeth and also give us plenty of time to brush thoroughly. Many people focus way too much on their teeth, and unbeknown to them there are also bacteria that get stuck on our tongue. 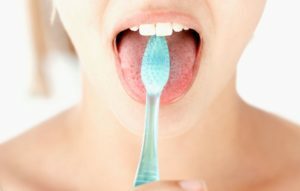 It is a good idea to start brushing your tongue more often as it is also a common reason why some people get bad breath. Besides, it also stores plaque which can then spread onto your teeth faster! Fluoride is a very beneficial mineral that occurs naturally in water. It helps remineralizing our tooth enamel effectively making our pearly whites stronger. There are plenty of products available that include fluoride that you can find in Los Algodones pharmacies, such as toothpastes and mouthwashes. As an added bonus tip, if you brush your teeth, we suggest to wait until you use a mouth rinse as you want the fluoride in your toothpaste to stay on your teeth to really have an effect. On long days where you can’t afford to pay so much attention to your oral health. For those days, a sugar-free gum is an excellent tip for keeping up with excellent oral health. Not only is it sugar-free so there is no risk for tooth decay, but chewing gum will help you keep your teeth clean and plaque free, as well as help removing food debris from crevices. Furthermore, chewing gum boosts your mouth’s saliva production. This is a pretty good benefit to get as it helps halting bacteria production and keeps our mouth moist. What can beat the opinion of an expert? We know that making an appointment with the dentist and fearing what they might say can be stressful. But think about it, the moment you step into that office, you are going to be in good hands! By paying the dentist a short visit, you get a whole bunch of benefits! A good cleaning, a check-up, and your mouth is also recorded to see how it develops thoroughout the years. 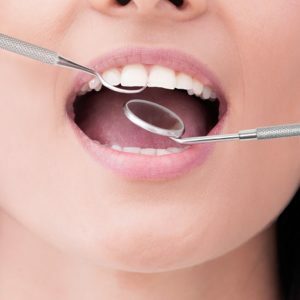 So to wrap it up, by having a good oral health by brushing, flossing, including fluoride and not giving bacteria and plaque any chance to develop, then you should have nothing to worry about. Even more so with the guidance of a professional that will let you know if there is something wrong. Then through that, we can work a way on how to deal with it to make it all better! No Replies to "Top Tips Dentists Give For Better Oral Health"